Please Note: This is a Exchange Service Only product and as such will only be dispatched upon receipt of the faulty part. 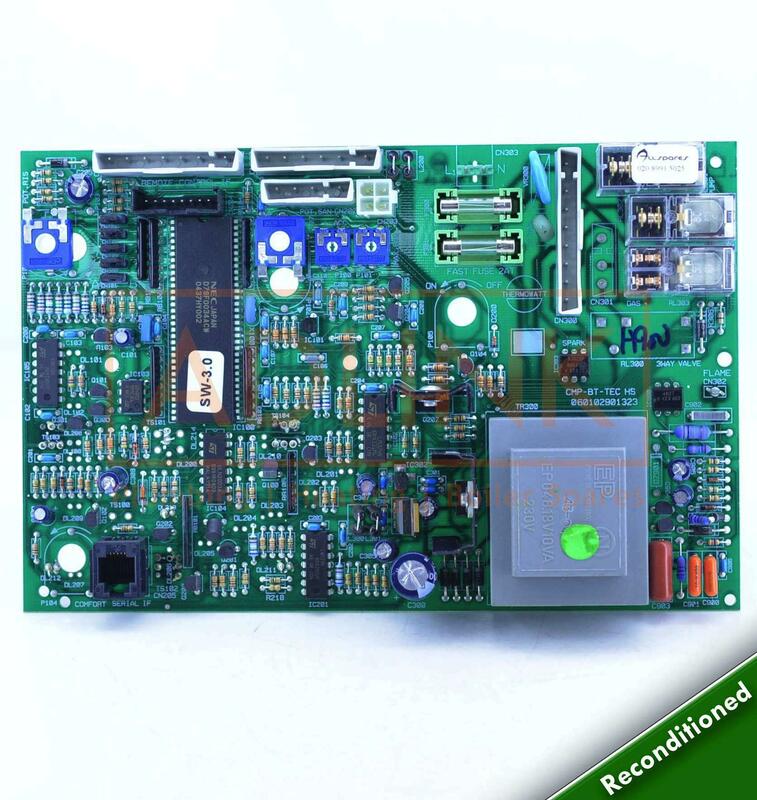 Reconditioned PCBs have all faulty components replaced and dry joints re-soldered. 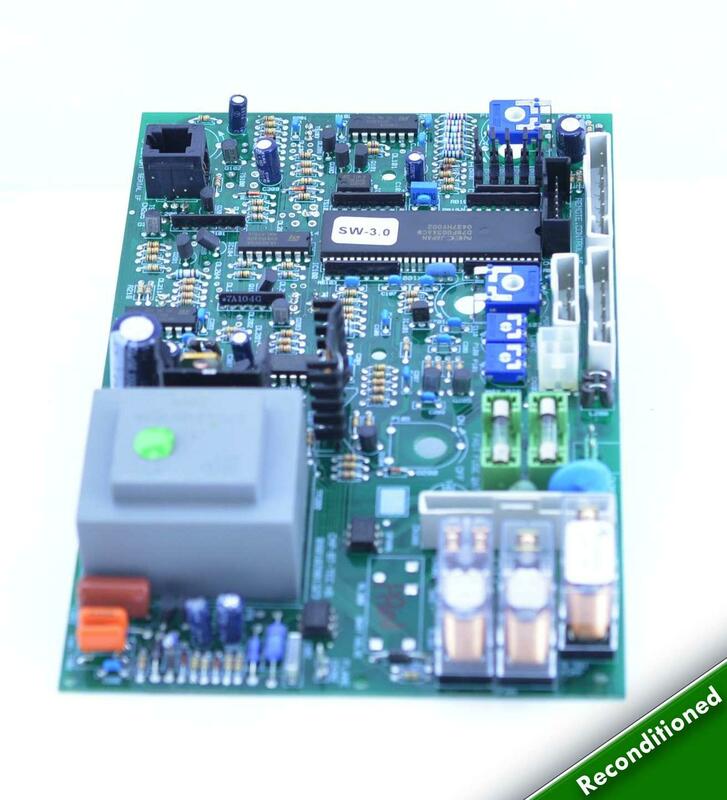 Once reconditioned the PCB is checked by qualified engineer(s), all reconditioned PCB's comes with a 1 year warranty. Exchange Service: Our exchange service is simple. Select "Exchange Service" from the drop-down menu above then click "Add To Basket". Please note before an exchange service can take place you must send your faulty item together with a copy of your Web order details or PayPal receipt to the address below. Once we receive the faulty part, we will dispatch a replacement the next working day. For more information please click on the Specification tab. Please note: Before placing your order you must check your part matches the Manufacturer Part Number stated above. Please Note: If you have selected Exchange Service the following will only apply upon receipt of the faulty part. Free Delivery (1-2 Working Days): United Kingdom only excluding Highlands & Offshore. Orders placed before 4pm Monday to Friday will be dispatched the same day and is subject to stock, courier availability and demand. Delivery times cannot be guaranteed. Next Day Delivery (1 Working Day): £7.50 including VAT. United Kingdom only excluding Highlands & Offshore. Orders placed before 4pm Monday to Friday will be dispatched the same day and is subject to stock, courier availability and demand. Delivery times cannot be guaranteed. Orders placed during sale period are not subject to next day delivery. Specific delivery details will be confirmed at the time you order. Saturday Delivery: £10.00 including VAT. United Kingdom only excluding Highlands & Offshore. Orders placed before 4pm Friday will be dispatched the same day and is subject to stock, courier availability and demand. Delivery times cannot be guaranteed. International Signed For (3-5 Working Days): £12.00 including VAT. Including Highlands & Offshore. If you are purchasing from outside the UK please contact us via the Contact Us page or call us on +44 20 8991 5025 for more information. Orders placed before 10am on Saturday's will be dispatched the same day. All parcels are sent via Royal Mail or DPD. Customers are required to sign for parcels upon delivery. We will email you your tracking number once your order has been dispatched or you can call us on +44 20 8991 5025 for your unique tracking number. In the event you missed your delivery, DPD or Royal Mail will leave you a delivery calling card, you will need to contact them directly and re-arrange the delivery. DPD or Royal Mail will keep your parcel for 3 working days, if you fail to call or collect your parcel within this time period, they will send your parcel back to us. If you have your parcel re-delivered from us you will be charged the appropriate posting fee. 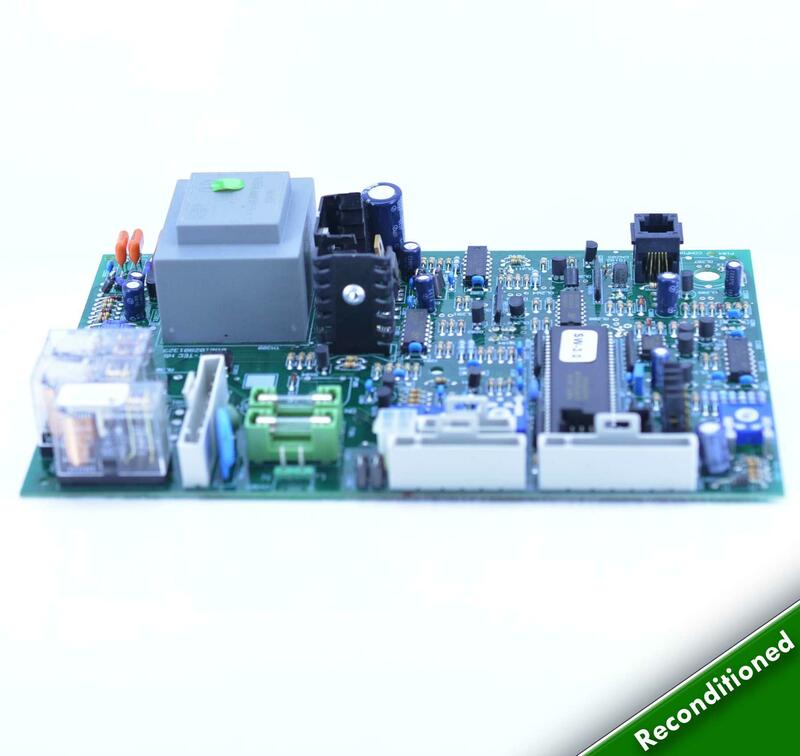 Warranty: All our reconditioned parts are covered by a 1 year warranty. If your product becomes faulty within the 1 year warranty period you must send your faulty reconditioned part in first in order to be tested, if a fault(s) are detected your faulty reconditioned part will be replaced under the warranty. Fans: Fan coils and motors failing due to boiler overheating will not be covered under warranty. 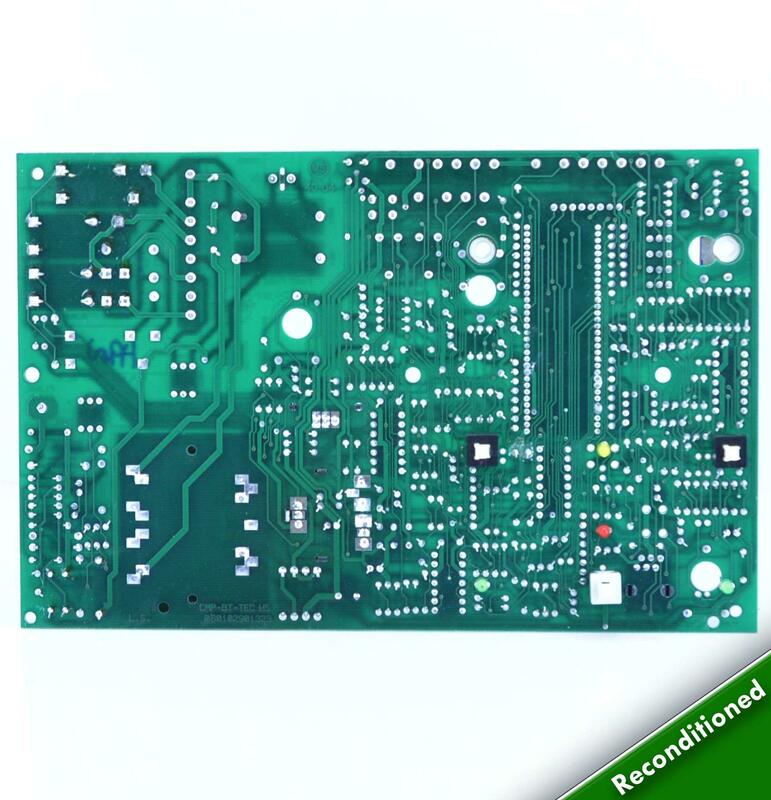 PCB’s: Printed circuit boards blown due to water damage, burnt as a result of another faulty part or high electric voltage will not be covered under warranty.